Mar dos Açores v Lisabon, Portugalsko: Zarezervujte nyní! 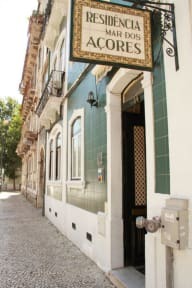 Residencial Mar dos Açores is centrally located, on the heart of Lisbon, just 15 minutes from Rossio square, 5 minutes walking from Picoas metro station and 15 minutes walking from Lisbon's historic center. To the international Lisbon airport will take, by car, just 15 minutes. It offers to their guests air-conditioned, cable TV, private bathroom and free Wi-Fi, inside all rooms. Mar dos Açores has a 24 hour open reception, one elevator that reaches all flours and also a luggage room free of charge to all the guests. The Mar dos Açores staff can guide you to nearby sights, and provide services such as bicycle rent, car rent, transfer services, city tours and many other services. At the reception the guests can order, without any extra cost, the hair dryer or the iron. Guests can get a snack or a drink in the available vending machines. There are also plenty of restaurants and bars in the hotel's immediate surroundings. Credit card payments are accepted on amounts of 50 Euros and above. Room cleaning and towels changing are every 3 days. 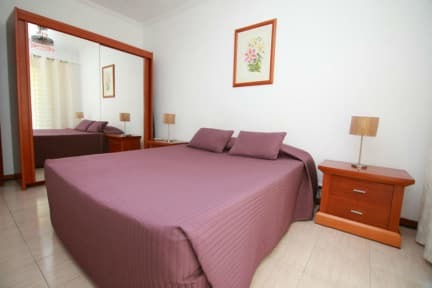 The apartments are within walking distance of Residencial Mar dos Açores. Please note that for apartments: The 1st night is charged as a guarantee of reservation. Check-in is from 3 pm. All reservations that are for 4 and more rooms will be charged with 25% of the total amount of the reservation. This money is not refundable even in case of cancellation.